There once was a time, years before they won Grammys and inspired hordes of awful imitators and Maynard James Keenan owned a winery, that Tool were just a really good metal band from Los Angeles. Canadian band Inner Surge deserves some credit for patterning its sound after Opiate (1992) and Undertow (1993), which found Tool at their most vicious and least obnoxious. Not that Inner Surge's fourth, An Offering, is a straight rip -- chief singer/songwriter Steve Moore (not to be confused with this guy, this guy or this guy) screams way more often than Keenan, and there's a strain of Machine Head power groove that runs pretty deep. But Inner Surge's approach to songwriting is all early Tool. Check the time-signature changes in "A Great Distance," free-flowing and smooth, the tribal drums in "Tamisra," the way the band eschews big choruses in favor of guitar textures and heaving riff pileups. This is dynamic stuff. Inner Surge - "From the Depths"
Inner Surge - "A Great Distance"
Inner Surge are pretty forceful in their politics, as you'd expect from a band that lists the Zapatistas, Chomsky and the Black Panthers as inspirations. All too often, Moore's trenchant critiques of war profiteering ("Global fraud seperates the criminal, the dead, and the oblivious / Secure the account / There is no consequence," from "Halliburton Piggies") and economic imperialism ("Life or death dependency / Oil's bloody offering," from "Limb From Limb") sink underneath lukewarm hooks, and an hour plus of the same minor-key tonalities gets pretty tiring (another quality Inner Surge share with Tool). 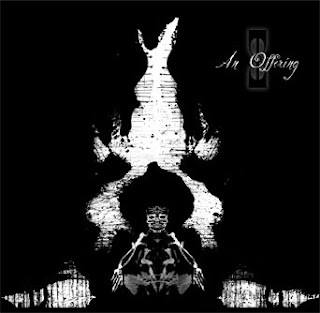 Still, An Offering showcases a sound that's both multi-layered and easy to follow, and engages topics intelligently that most metal bands ignore. Set alongside his recent recordings with his industrial metal act Post Death Soundtrack and prog-metal band The Unravelling, it marks Moore as one of Canadian metal's most productive auteurs. Video preview for Inner Surge's "Interahamwe:"